This full-tang Zatoichi packs a powerful 28-inch Damascus steel beast of a blade with razor-sharp edges that will slice through virtually anything with ease. Each blade is hand forged and folded to produce more than 2,000 layers of top-quality Damascus steel for unsurpassed performance. 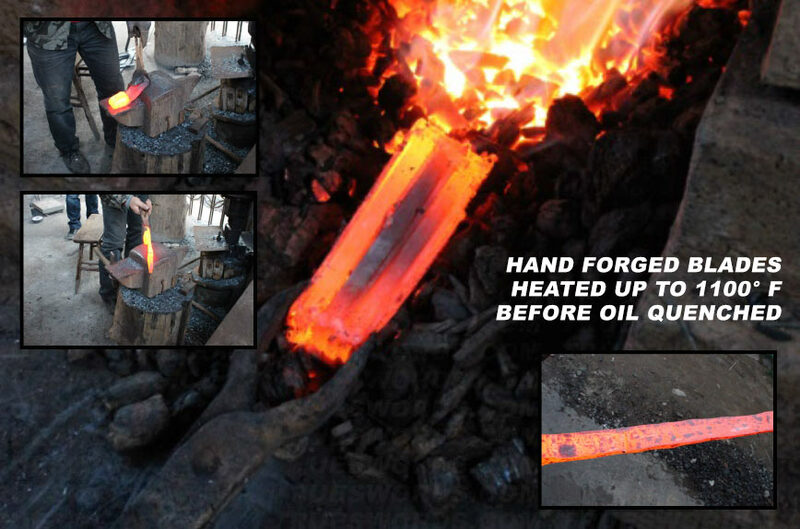 The blades are then oil quenched to produce a high-strength functional blade that is razor sharp. 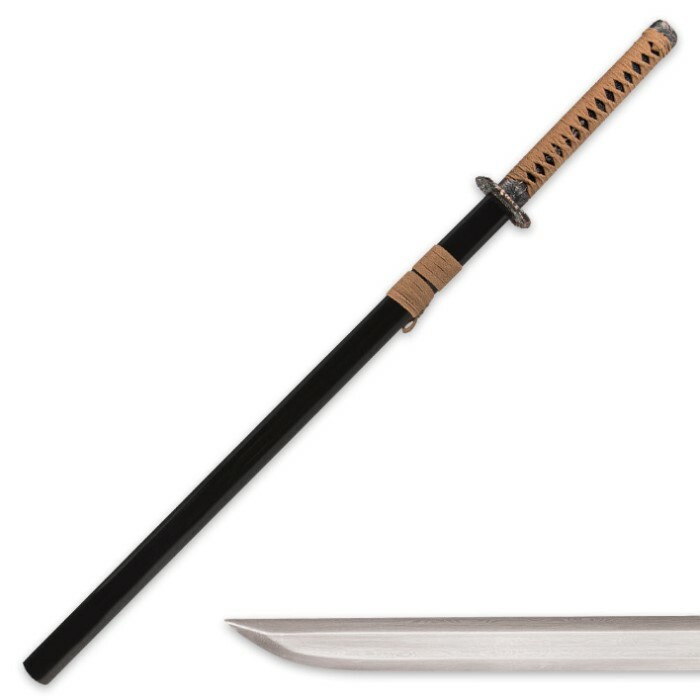 True to its Zatoichi heritage, this sword features a cast zinc tsuba and pommel and a shiny brass menuki for authentic styling and attention to detail. 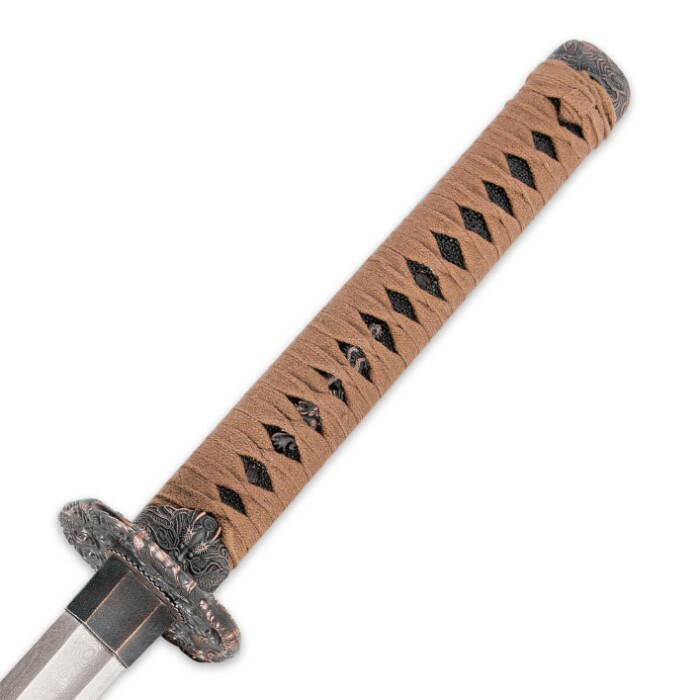 The handle is covered in ray skin and graciously wrapped in heavy cording, giving this stunning sword a custom, one-of-a-kind look and feel. 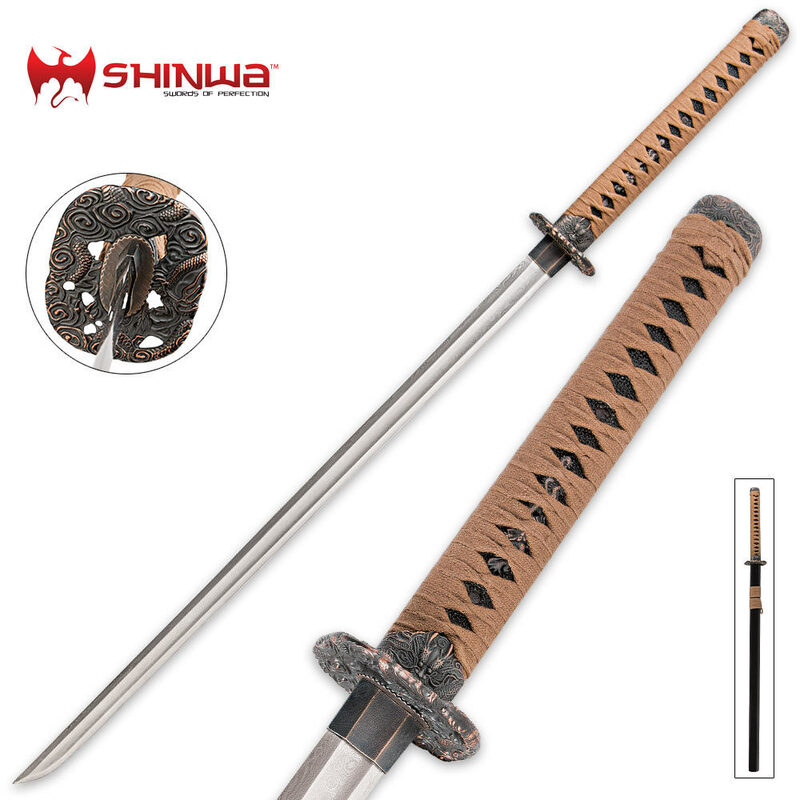 The lacquered wooden scabbard houses this formidable blade in true Zatoichi fashion. For the price this is a fantastic sword. Beautiful Damascus steel and overall design. good balance and recovery and sharp! this a beautiful sword i bought this sword with all intents of using it like in the shinwa video but once i got it IN 5 DAYS AWESOME i just couldnt do it . it is that beautiful the pictures dont do it justice it is not black its silver chrome it wasent razar sharp just sword sharp but it is full tang i just love it. My first sword and Very pleased. I did a lot of research and shopping before settling on this one. I didn't want a cheap one but not the most expensive. I wanted quality above all, also I wanted history in style, construction and battle ready if needed of which I hope will Never ever be the case but if I do this sword is well up to the task. I've been collecting knives and hatchets, axes, tomahawks 40 years so I consider myself somewhat knowledgeable to quality and usage. You always get what you pay for and this sword is worth it!